Southern Living is my favorite magazine. 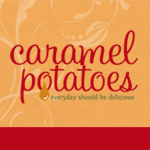 I look forward to each month – I love their take on decorating, gardening, and of course food. Since 1978 the Hummingbird Cake has been one of Southern Living’s most requested recipes. For those of you who don’t remember, it is a pineapple banana cake baked in three layers topped with cream cheese frosting. . . yum! So when the February issue featured this same great cake in a bundt pan, it sounded like a great idea to me. Same recipe, same ingredients only much simpler. Hard to refuse, right? 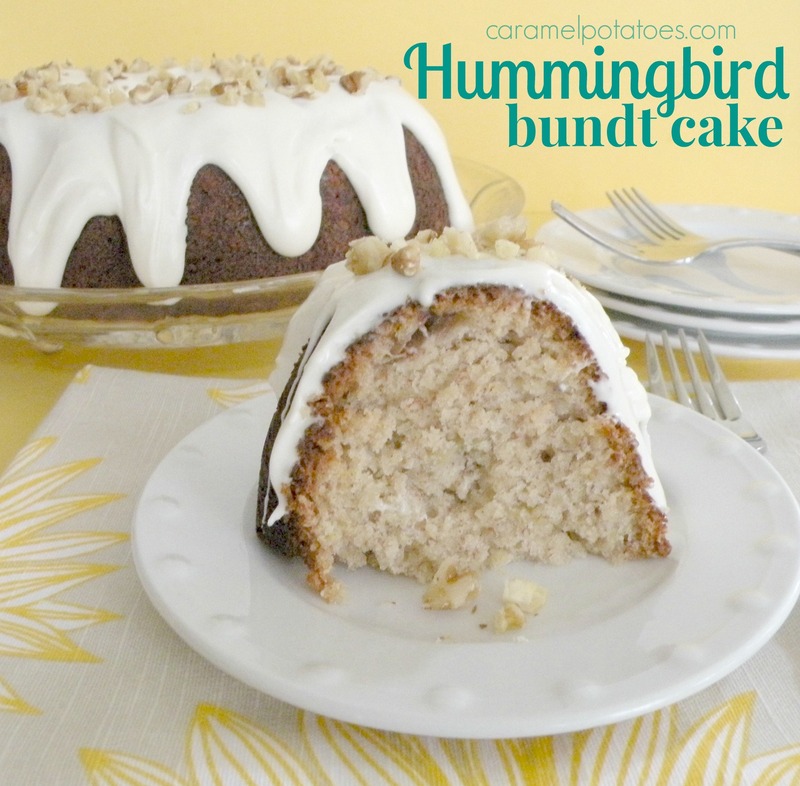 This Hummingbird Bundt cake would be wonderful for Mother’s Day (hint, hint) which is just around the corner. It’s also perfect for parties and showers, or for any family dinner! 1. Prepare Cake Batter: Preheat oven to 350°. Bake pecans in a single layer in a shallow pan 8 to 10 minutes or until toasted and fragrant, stirring halfway through. 2. Stir together flour and next 4 ingredients in a large bowl; stir in eggs and next 4 ingredients, stirring just until dry ingredients are moistened. Sprinkle 1 cup toasted pecans into a greased and floured 14-cup Bundt pan. Spoon batter over pecans. 3. Bake at 350° for 1 hour to 1 hour and 10 minutes or until a long wooden pick inserted in center comes out clean. Cool cake in pan on a wire rack 15 minutes; remove from pan to wire rack, and cool completely (about 2 hours). 4. Prepare Glaze: Process cream cheese, powdered sugar, vanilla, and 1 Tbsp. milk in a food processor until well blended. Add remaining 1 Tbsp. milk, 1 tsp. at a time, processing until smooth. Immediately pour glaze over cooled cake, and sprinkle with remaining 1/2 cup toasted pecans. NOTE: This cake is made in a 14 cup bundt pan. I used my 12 cup bundt pan and put about 1 1/2 – 2 cups of the batter in a loaf pan to bake. It worked for me since I don’t have the 14 cup pan. I remember the hummingbird cake! This looks so much easier- Thanks! This looks amazing, and easy too. I’ll have to dust off the bundt cake pan and get baking. Yum!